what is the best fit for a set of data? 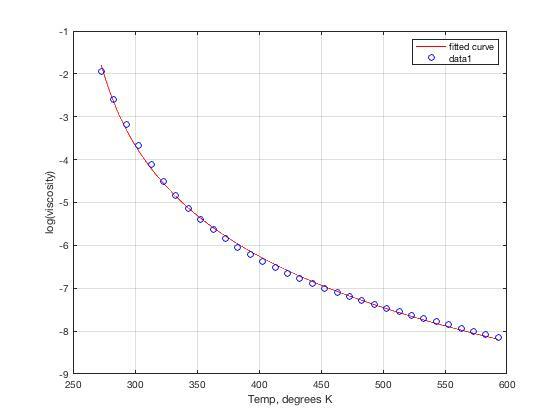 I have data which represents Dynamic viscosity of a fluid as a function of Temperature. I need a best fit equation like : Dynamic viscosity = (a*Temperature^b) - c. where a, b and c are constant .can any one give the best fit equation. I think you need to spend some time learning about modeling. Do some reading. Lots of stuff online to be found. 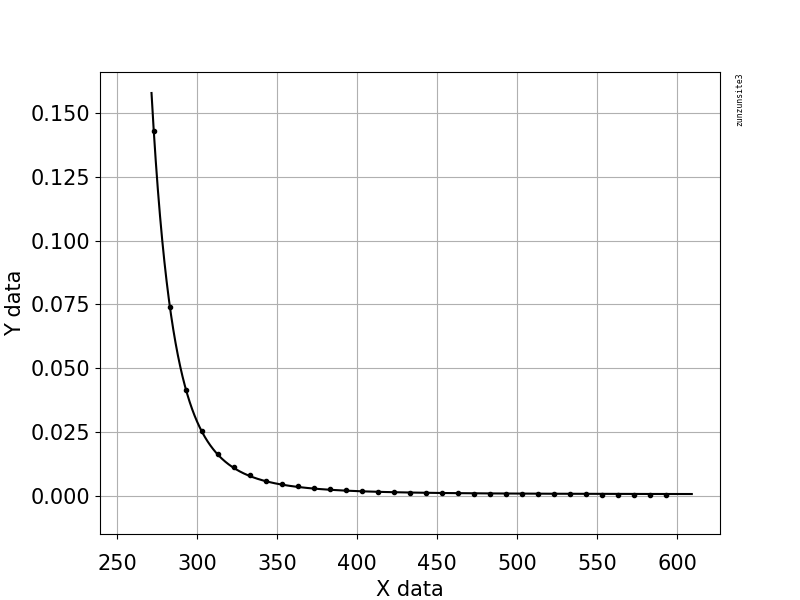 You would want to consider at some point if a regression style model is really appropriate, or if a simple spline interpolation would be satisfactory. 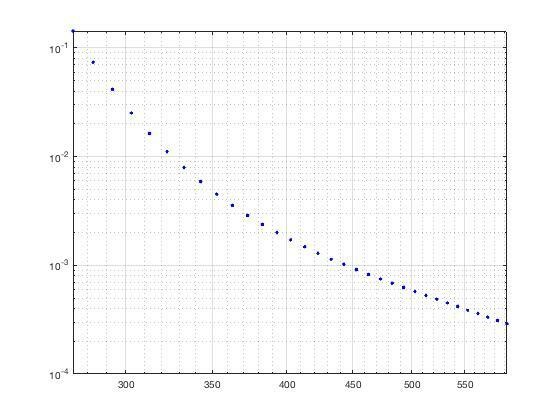 Do you just want a pretty plot? 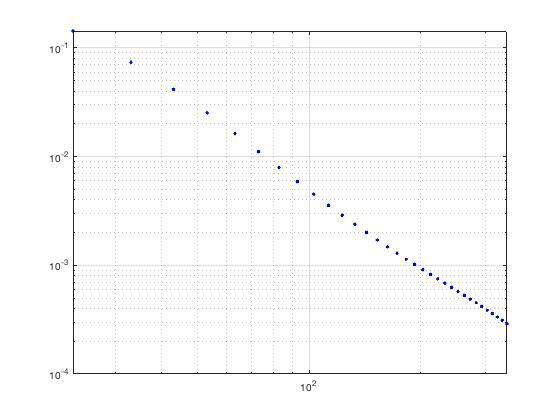 Do you want something you can interpolate with, just to predict viscosity for different temperatures? So you should spend some time deciding what you want, what you need, what are your long term goals in the task at hand. Anyway, alot of modeling ends up being common sense. So first, plot your data. Always plot everything. A simple rule that will serve you greatly in the future. I would want my curve to fit well down in that tail. Essentially, ypu want to consider if any proportional (relative) errors are appropriate. 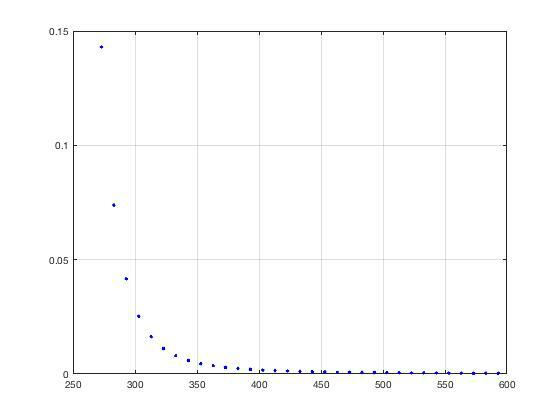 Most of the time, when your data varies by many orders of magnitude, that is what you will want to see. If so, then it makes complete sense to log the y variable, thus here we would work in terms of log(viscosity). Plot that. Look at it. 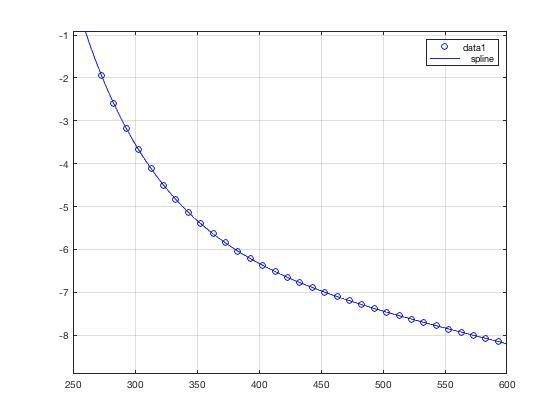 Think about the curve you see. So here we see a relationship that is far more well-behaved. I don't see much noise in the data. So a simple interpolation would do well here. In fact, you need to consider if it may well be the best choice, since any simple model will have considerable lack of fit! So again, what do you need out of this in the end? A pretty picture? A function that you can write down, even if it misses passing through the data very well? What do you need? I just picked a number out of thin air, assuming these were temperatures in degrees Kelvin. where t0 is on the order of 250, so around -20 degrees C.
So not terrible. Stil some lack of fit, just a wee bit. A spline interpolant will nail the shape of the curve exactly. 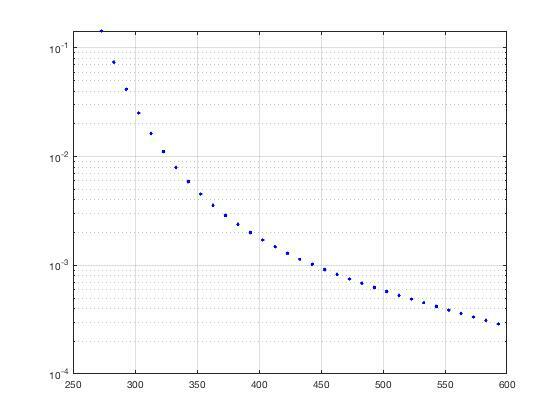 But only you know why you need to do this curve fit. Does a model offer you some understanding of the process? With some thought, you could probably do a little better job yet. What you should understand here is the model I derived came from simply looking at the data, then applying a little common sense to the modeling. And plot everything.